If you would like a quote, please email me a sample copy of the document to be proofread. Let me know how you would like it annotated (Track Changes in Word, mark-up tools in PDF, Suggesting mode in Google Docs or British Standard marks for proof correction on paper) and when you would like the work completed. I will provide you with a free, no-obligation quote within 24 hours of receipt of your request, based on the length and complexity of the project, the regularity of the work and the time frames involved. 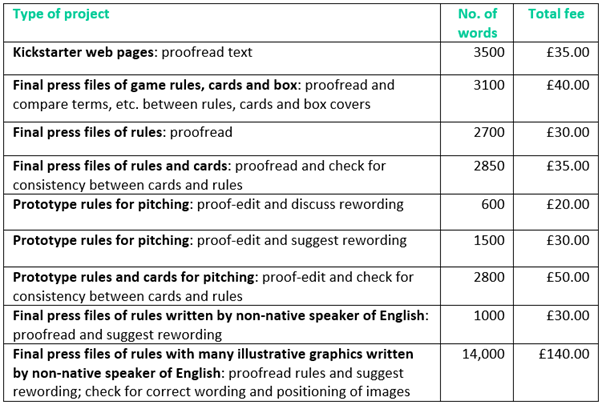 Some work is charged by fixed fee and some by the hour or per 1000 words. I can accept payment in most major currencies. I will invoice you on completion of the work and payment should be made within 30 days of the invoice by PayPal or bank transfer. A copy of my Terms and Conditions will be sent to you with your quote, but you can also read them here. Contact me for a free, no-obligation quote.